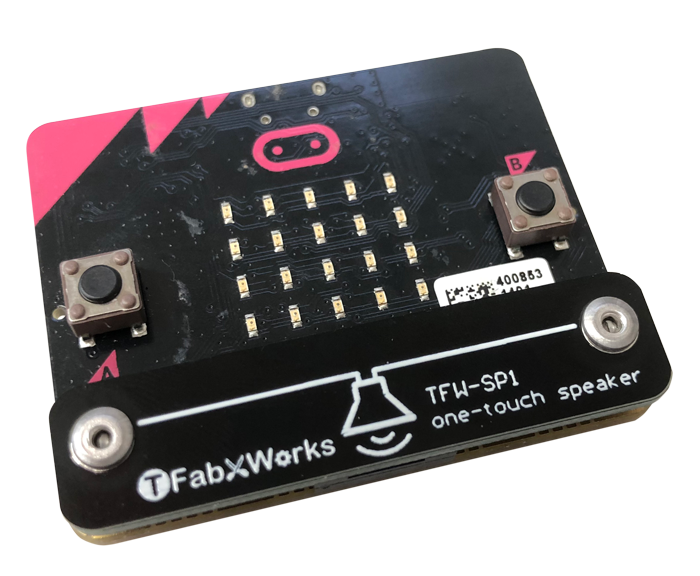 micro:bit one-touch speaker is detachable in one operation easily. Even children can use one-touch speaker because it is unnecessary to tighten screws every time. 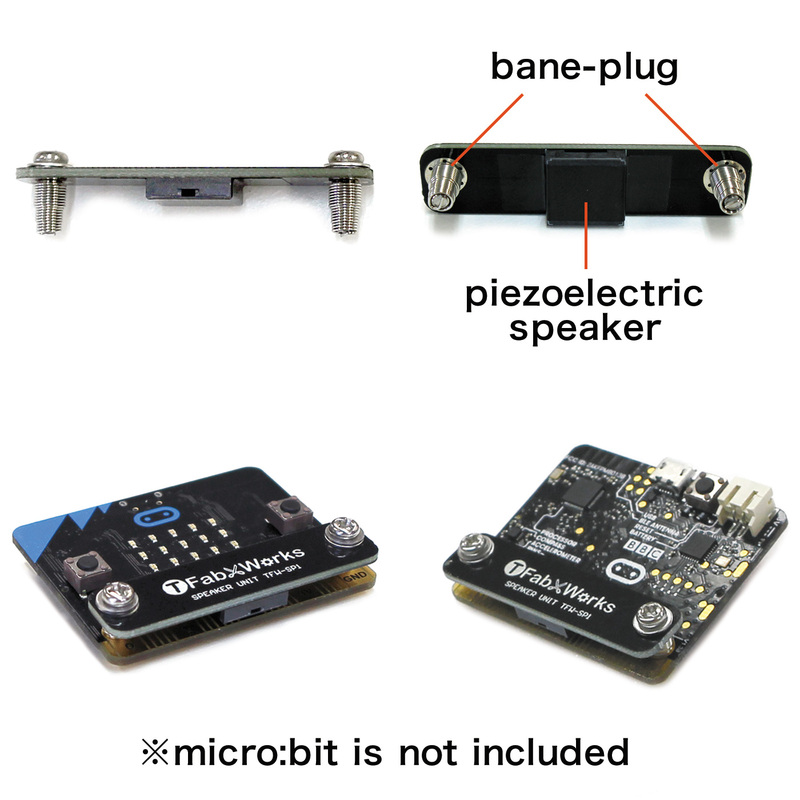 You do not have to be careful about direction inserting into micro:bit because one-touch speaker has no polarity. If screw of bane-plug loosens, tighten it softly with your screwdriver. 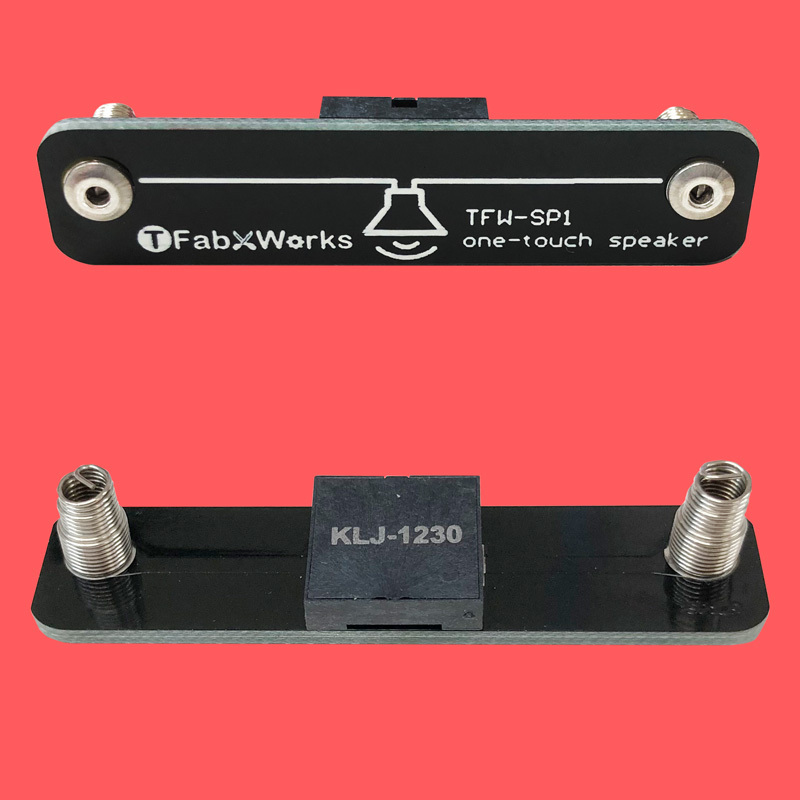 one-touch speaker is a piezoelectric speaker without amplifier.